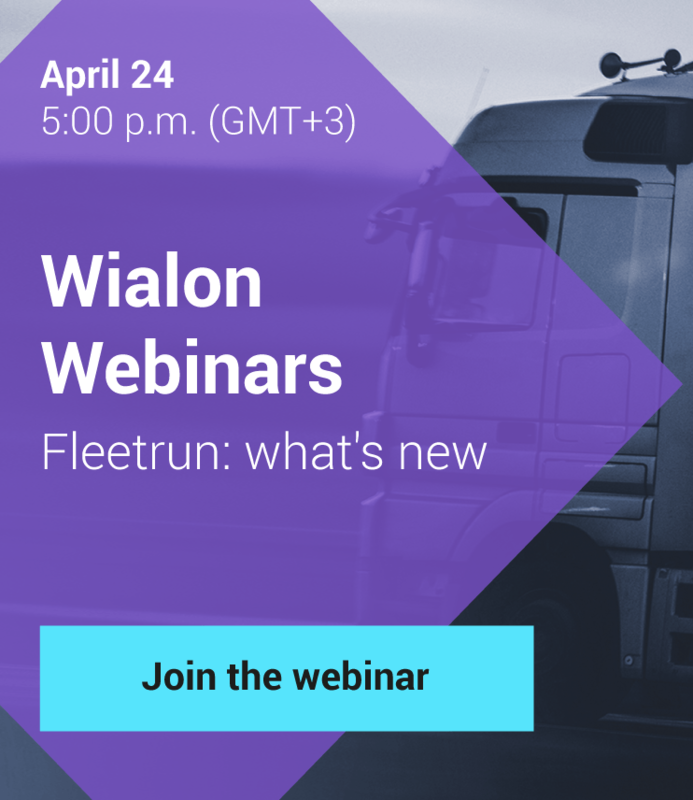 As May passed its halfway point, we released Wialon Hosting update. Get ready to test new features and tell us what you think. Good news for TOP account owners – now you can avoid random noise by selecting certain types of online notifications to be received. Before. There was no filtration whatsoever. All notifications from lower-ranked accounts were sent to the parent account as well. After. TOP users can select the resource and the type of notifications they want to receive (only SOS, for instance). What for. Why would you want to know when a certain vehicle of one of your clients stops for the tenth time? TOP and dealer accounts owners don’t need and (most likely) don’t want to get all the notifications from all their subordinate accounts. Just select the needed resources and notification types and don’t get distracted by unnecessary information messages anymore. Activate the option in “User settings”. 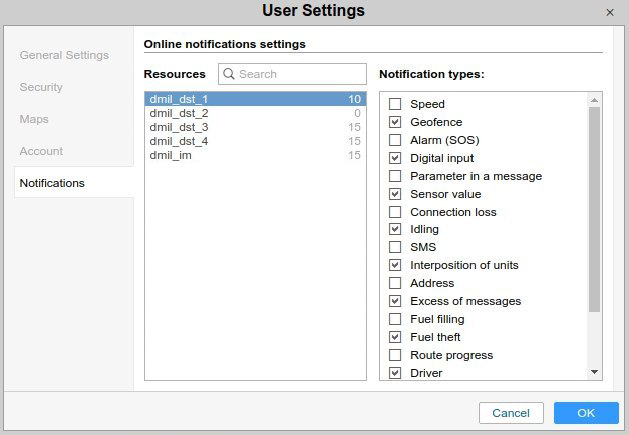 Initially, all available resources and notification types are selected by default. We redesigned the unit tooltip and extended information: added the unit icon and structured the content into blocks in an easy-to-grasp form. Before. Without an icon, the user didn’t get right away what kind of unit it was. The extended information was represented as a text array. After. Now, clicking on the unit icon you see the block of structured info on the unit adjusted to the panel width with a big icon. What for. In the case when you are working with special-purpose machinery, this enhancement helps to understand immediately the type of machinery and its functionality. 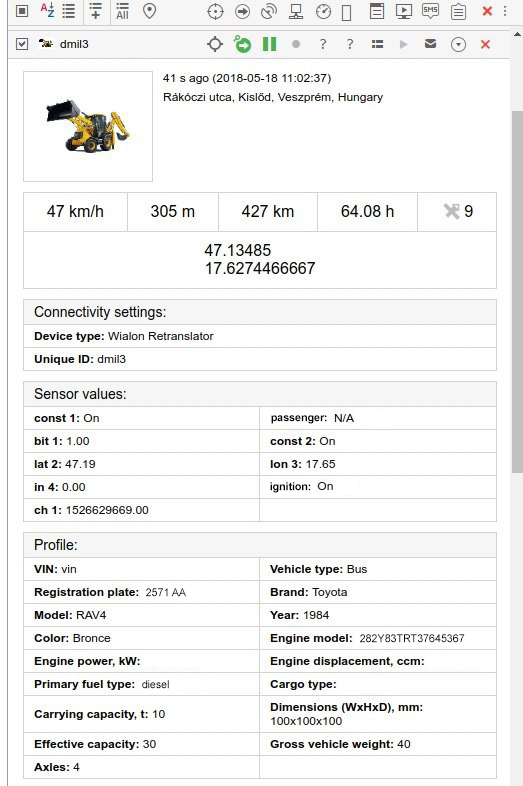 For example, you will know why the system registered the speed and mileage of the unit but not engine hours – the icon shows that it is a pull-type unit. We changed the way “Speeding” and “Eco driving” tables count intervals to bring the data in the two types of reports to consistence. Before. When you created “Speeding” report, violation interval was counted based on two messages, so that its duration exceeded 00:00. To display violation in “Eco driving” table, the system needed just one message being the first and the last at the same time. In this case, the interval counted as 00:00. After. 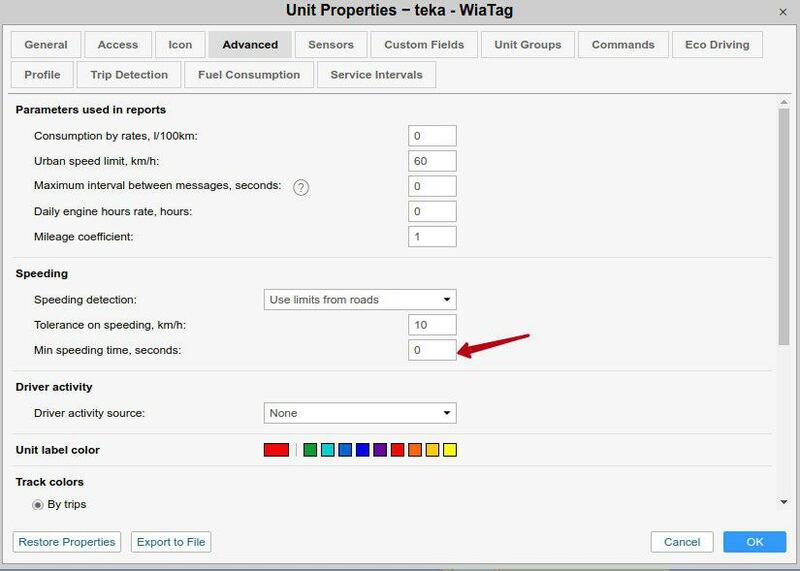 Now, in “Unit properties” you can select “Speedings” violation interval as 0 sec. What for. You won’t miss “zero-duration” speeding intervals in the corresponding report. Thus, data in “Speeding” and “Eco driving” tables will be the same. While checking out the system’s new features don’t forget that registration for Telematics 2018 partner conference has already begun. You can submit the participation request at my.gurtam.com or the conference website. If any questions arise, feel free to write us at marketing@gurtam.com.